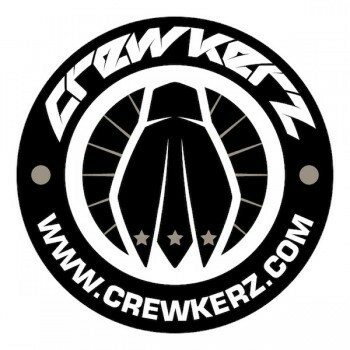 Frame of this CREWKERZ JEALOUSY is available with disc brake mount PM type. BE AWARE! Bike is assembled with carbon fork CREWKERZ WAW WPP with disc brake mount PM type. 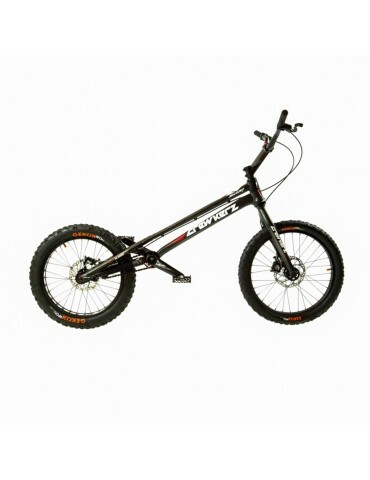 We offer this trials bike with HOPE TECH 3 TRIAL ZONE, HOPE TRIAL ZONE, or MAGURA MT7 disc brakes! This bike trials special will bring you the best inovations on trials market in the aluminium bike category in high level grade which you can find! If you want to feel bike trials magic on your own, just choose the CREWKERZ Jealousy with carbon fork WAW WPP and enjoy! This trials bike special is assembled with the best CREWKERZ WAW components which you can find! 100% racing components, so the bike is really strong and durable! - extremly strong construction with almost no flex! Black anodized color in combination with red / black stickers!